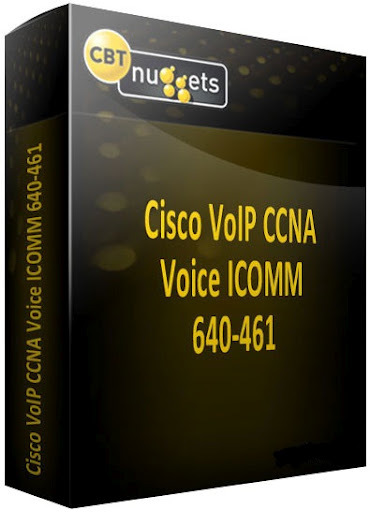 The CCNA Voice training is for anyone who would like to begin exploring Cisco Voice over IP (VoIP) technology. Voice over IP is now the “hot topic” – it’s no longer bleeding edge. Businesses around the world are realizing the cost savings, efficiency, and just plain “coolness” of combining their telephone and data networks into one unified system. Today, it’s rare to find a company not using VoIP! That said, there is a massive shortage of qualified people who can implement and support VoIP systems. So, in one series, you’re learning to work with four major products, which looks awesome on a resume! This series goes far beyond the Cisco Certification exam. Jeremy adds extra material on the core products you deal with every day in the real-world: CUCM and CME. Of course, he carefully notes this to keep you from studying too much information if you’re preparing for the certification exam. Expect to walk away with the best of exam prep as well as real world skills! Once someone has gone through this training, they’ll be a part of a small, select group of people who really understand VoIP technology. They’ll also be able to manage day-to-day operations of the VoIP system in small, mid-size, and large businesses. Businesses everywhere are looking for a person who can handle their basic routing & switching functions (CCNA) along with their voice network (CCNA Voice).